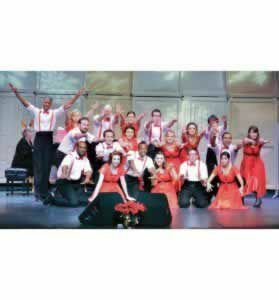 Yuletide music is in the air as the Concert Chorale and Entertainers Jazz Choir at Pensacola State College present a free concert at 7:30 p.m., Friday, Dec. 2, at the Ashmore Auditorium, Building 8, on the Pensacola campus. The Concert Chorale performs seasonal selections such as “Ave Regina Caelorum” by Philip Stopford; “A Christmas Carol” by Norman Dello Joio; “Blow, Blow, Thou Winter Wind” by John Rutter; “Sleigh Ride” by Leroy Anderson; “Mary, Mary, Where is Your Baby” by Jester Hairston; “Mary Had a Baby” by William Dawson; and “Go Tell it on the Mountain” by Philip Kern. The Entertainers Jazz Choir performs several traditional carols and lively holiday tunes including “Fa-la-la” by Chuck Bridwell; “Baby, It’s Cold Outside” by Frank Loesser; “Christmas Time is Here” by Vince Guaraldt; and “All I Want for Christmas is You” by Mariah Carey and Walter Afanasieff. PSC music professor Xiaolun Chen conducts both choirs. For more concert information, call the Lyceum Box Office at 850-484-1847.